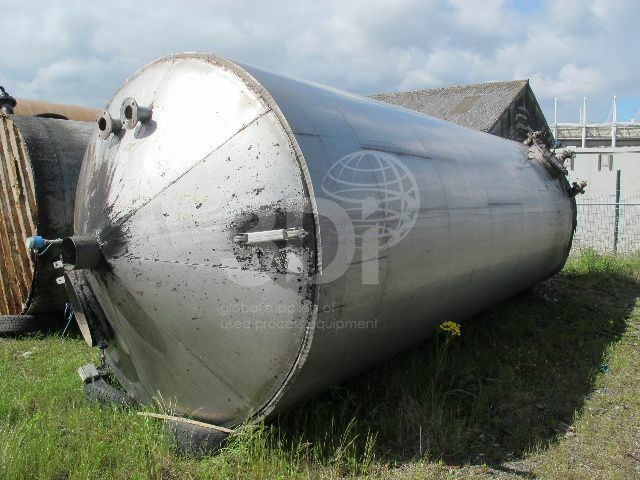 Used 25,000 Litre 304 grade Stainless Steel Storage Tank. Orientation: vertical, cylindrical, flat sloping bottom, tented top. 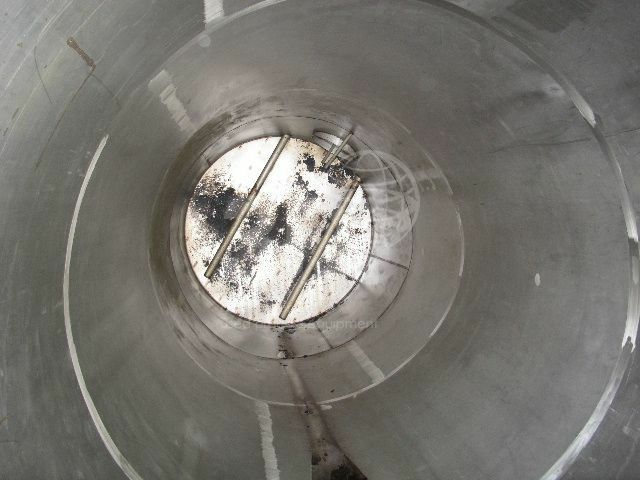 Dimensions: 2300mm diameter, 6300mm on the straight, 7000mm overall height. Connections: (2) 80mm top inlets (1) 180mm top centre vent, (1) 50mm side bottom outlet. 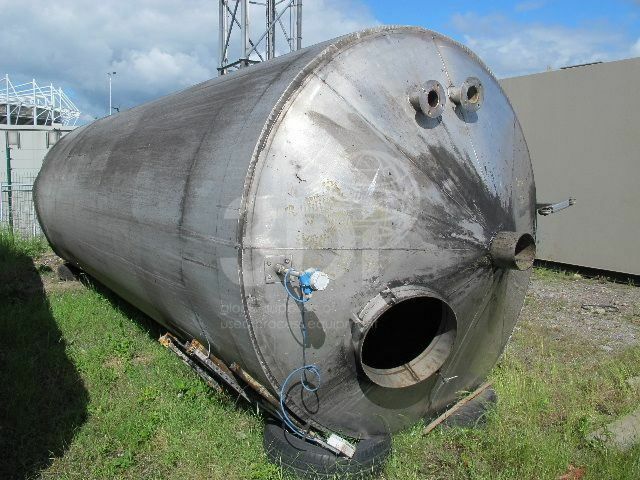 Tanks are also complete with (2) 100mm steam heaters. Ex vegetable oils use.